Nature Art Day at Nature At The Confluence is a unique Fall art experience that emphasizes collaborative creativity using nature as inspiration. The public is invited to join Beloit College student artists in creating temporary artwork made with natural elements. ► Create Nature Art – Participants are invited to immerse themselves in nature by walking the trails and collecting objects from nature. Then they’ll step indoors to use their “found” items, or supplied items, to create their own temporary artwork that will be photographed and added to “Nature Mosaic”, an online photo gallery. This virtual art gallery will show the collaborative creativity of our community and will be featured on the website and social media using the hashtag #2018NatureMosaic. You may work individually, or groups and families can work together on their art piece. All art will be deconstructed after it has been photographed. ► Observe Nature Art Creation Throughout the afternoon Beloit College student artists will be working collaboratively on a temporary art piece made out of natural materials found in the prairie and woods. Working within a 2-hour timeframe, they will create something beautiful out of the seemingly mundane bits and pieces of natural materials. At the end of the day, the artwork will be photographed, then deconstructed and returned to nature. The featured Beloit College student artists are Dorothea Pantelios, Fern Denne, and Lisa Colligan. ► Preview Art Sculpture Visitors will also be able to preview a sculpture concept by Ho-Chunk artist Truman Lowe, which artistically represents a Ho-Chunk wigwam. If funding is secured, a full-sized cast metal sculpture would be installed overlooking Turtle Creek, near the original location of Turtle (Ke-Chunk) village, a major Ho-Chunk village at the confluence prior to 1832. Fundraising for this art project is currently underway. ► Nature Art Day is a free event for all ages and will be held on Sunday, October 21, 2:00-4:00 p.m. at Nature At The Confluence, 306 Dickop Street, South Beloit, IL. It will be held rain or shine as the art portion of the event is held indoors. Even if you don’t want to create art, you can walk the trails, enjoy hot cider and a warm fire. ► Cameras at the Confluence Fall Walkabout – Immediately following this event, you may also enjoy Cameras at the Confluence Fall Walkabout, Sunday, October 21, 4:00-5:30 p.m. 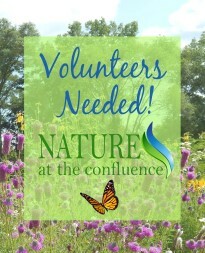 Photographers of all skill levels are invited to join a walk along the creeks and river at Nature At The Confluence, capturing the unique changes to the landscape and plants during the fall. You’ll learn about the unique history, industrial legacy and natural areas of this land as we walk about the property in search of subjects to photograph. A creek side fire & with S’mores will be offered. Dress for the weather and walking somewhat rugged terrain. Free event, donations accepted. A program for all ages and photography skill level. Guided by Therese Oldenburg, executive director of Nature At The Confluence and professional photographer Trisha Peters. Let’s do a fall walkabout along the creeks and river at Nature At The Confluence – capturing the unique changes to the landscape and plants during the fall. 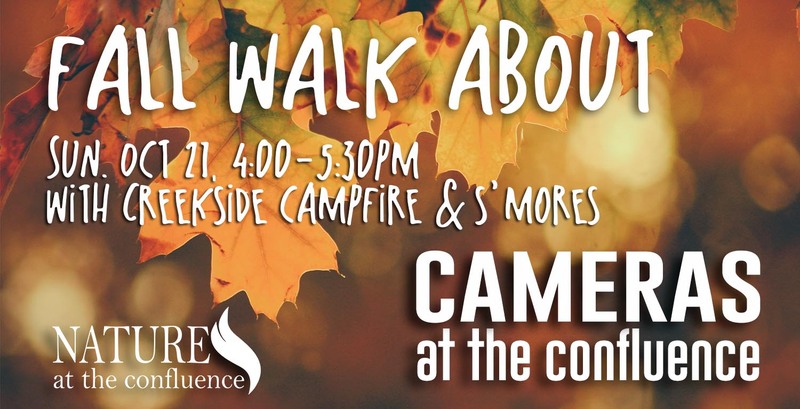 Please join us on Sunday, Oct 21, 4-5:30pm for our Cameras at the Confluence Fall Walk About program. In this month’s program you’ll learn about the unique history, industrial legacy and natural areas of this land as we walk about the property in search of subjects to photograph. Guided by Therese Oldenburg and Trisha Peters. A creek side fire & s’more’s will be part of the fun! Dress for the weather and walking somewhat rugged terrain. Free event – Donations appreciated. 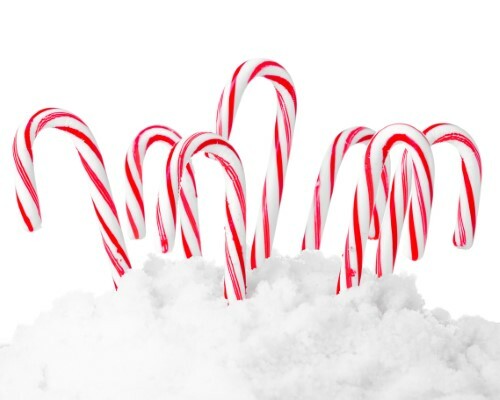 Grab a bag to search for candy canes that have been scattered throughout Nature at the Confluence. Additional activities include candy cane craft, hot chocolate by a fire and games.